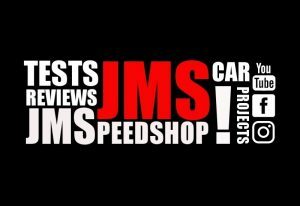 Audi S4 ABT 2.7 Bi-Turbo RS4 look - JMSpeedshop ! 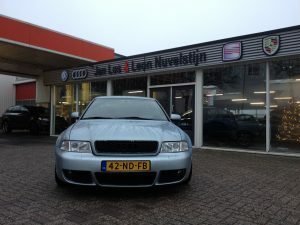 the front is changed to a RS4 that includes the front bumper and front wheel arches. 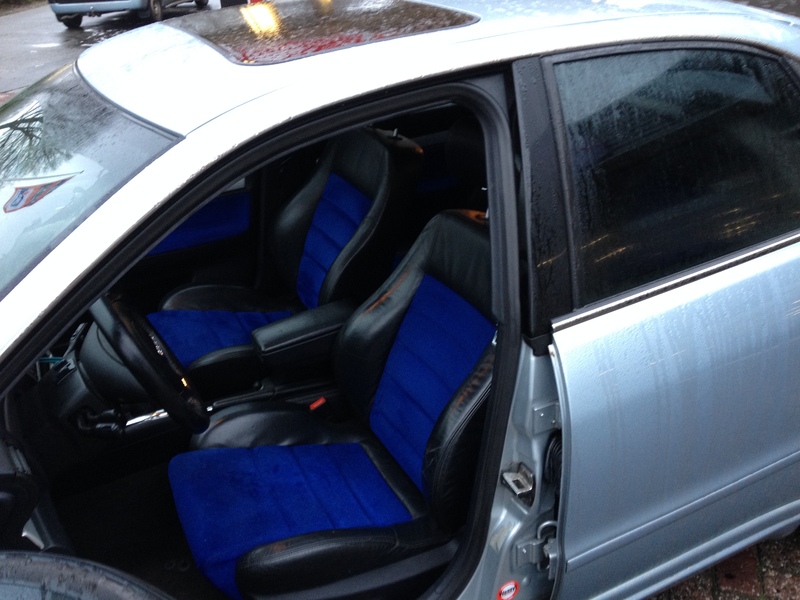 also a KAW suspension kit is under this car and is not to low or to hard and very good! 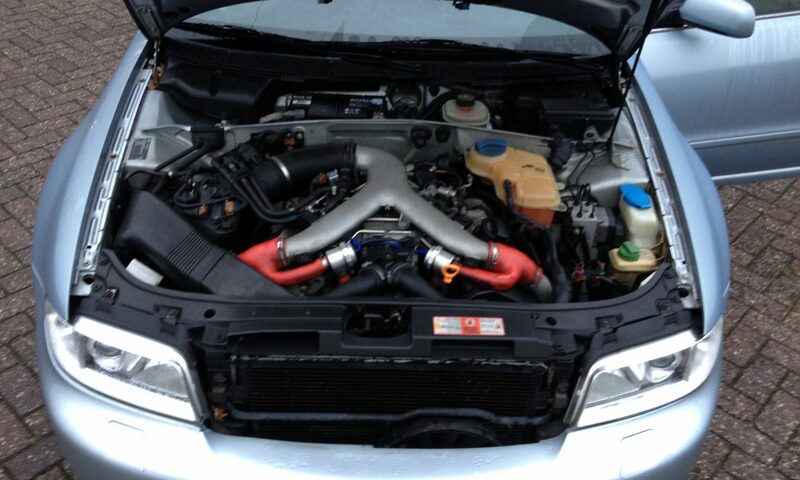 this is a turbo so it is easier to tuned due to turbo’s the v8’s can not be pushed a lot in stock form so the b5 s4 is cheaper to get lighter and easy to remap so will be faster. 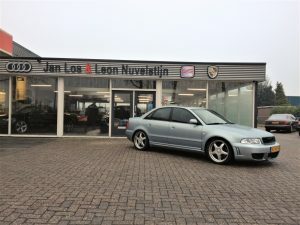 Posted On 27 december 2016 27 maart 2018 in Audi S / RS / R Reviews, Reviews & Testdrives with 0 Comments. 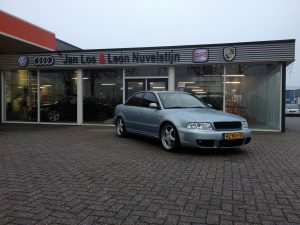 Tagged: audi bi turbo, audi racing, audi rs, audi s4, audi s4 2e generation, audi s4 testdrive, audi sport, audi testdrive. Where my dream cars are driven and where my dream projects are build !